Captain America: Civil War to Tie Into Netflix's Luke Cage? Captain America: Civil War could feature a surprising link to Netflix's popular Marvel television shows. Tuesday evening, Disney (Marvel Studios' parent company) provided ComicBook.com with a list of Captain America: Civil War cast members attending the upcoming world premiere next week. 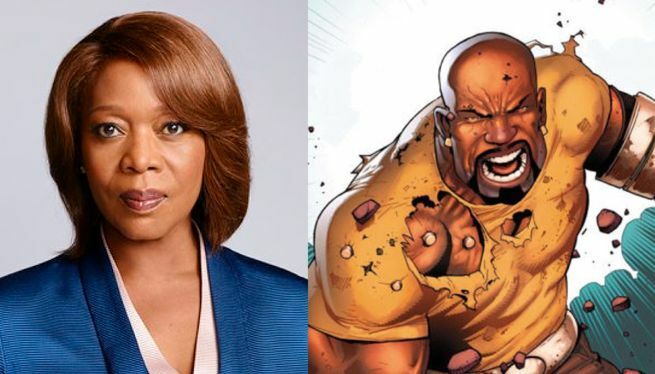 Included on the list was a surprise cast member: Alfre Woodard, who was supposed to make her first appearance in the Marvel Cinematic Universe in the upcoming Luke Cage series. Woodard is playing Mariah Dillard in Luke Cage, a New York politician who gets caught between Cage and his old enemy "Cottonmouth" Stokes. It's presumed that Woodard's character is an updated version of "Black Mariah", one of Luke Cage's earliest villains in the comics. Although Marvel didn't confirm that Woodard would be playing Dillard in Captain America: Civil War, it would be highly unusual for the actress to play two different characters in the same cinematic universe so close together. If Woodard does play Dillard in Captain America: Civil War, it would be the first Marvel movie reference to one of Netflix's Marvel shows. Woodard isn't the only Luke Cage cast member that will attend the Captain America: Civil War premiere. Mike Colter (who plays Luke Cage) will attend the world premiere, as will cast members from Daredevil and Marvel's Agents of SHIELD, though they're all listed as "Special Guests." The world premiere guest list included one other unexpected addition to Captain America: Civil War's cast. Comedian Jim Rash, best known for playing the Dean in NBC's Community, will also appear in the film.